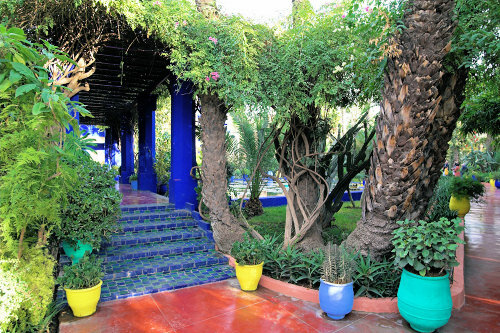 Jardin Majorelle Marrakech, originally uploaded by laurenz. 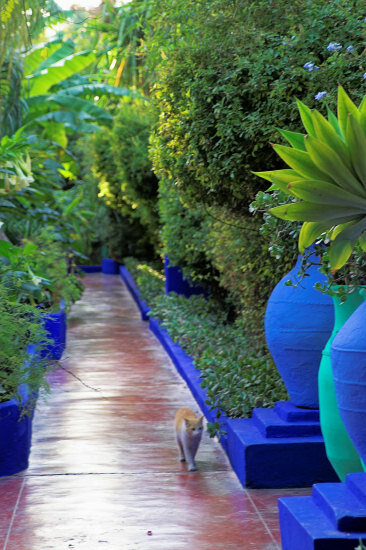 Located in the heart of Marrakechs new city, Jardin Majorelle is a beautiful spot to somewhat relax from the other wonders of this city. 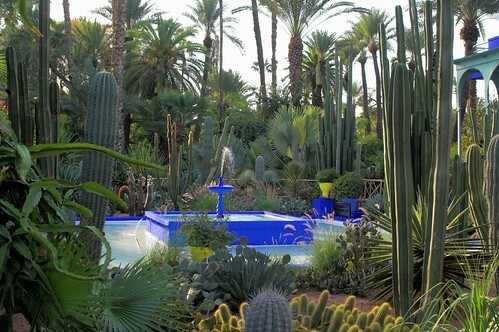 It once belonged to the painter Jacques Majorelle who also happened to be interested in botanics. 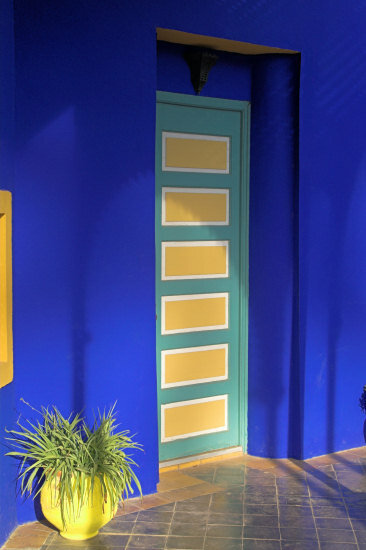 There is a small museum displaying his paintings as well as some islamic art, but possibly his most amazing work is the way brightly coloured buildings and ceramics blend with the tropical plants. This very much reminded me of the modern glass installations of Dale Chilhuly in Miamis Fairchild Gardens. The park was also once owned by Yves Saint Laurent.